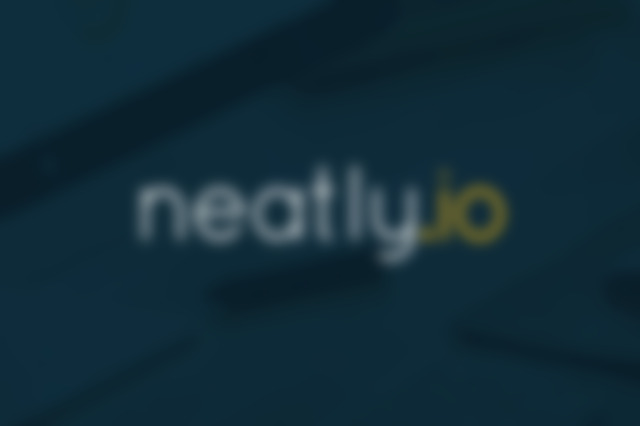 One of the many reasons that we started building neatly was that we spent a lot of time helping clients to see and understand the data that they had available to them across multiple platforms. Though we appeared calm and collected on the outside, we too would get that initial pang of panic before telling them we’d look into asap and heading straight into Google Analytics. An hour later, we’d discover that it was as a result of seasonal changes, and that there was no real reason to begin halving all their prices in order to boost sales again. But, we get it, nothing induces fear and anxiety in an entrepreneur quite like your online sales dropping. Couple that with not fully understanding the data in front of them, and you’ve got yourself a mini-breakdown. If you haven’t experienced it yourself (lucky you! ), it can feel like your business has started crumbling away. But rather than freefalling into full on panic, there are steps you can take to figure if 1) it’s a real problem or you’re just misunderstanding the data or 2) if it is a real problem, what you need to do in order to rectify it. Lucky for you, that’s exactly what we’re going to show you how to do in this post. I know, there’s nothing worse than someone telling you to calm down when you’re panicking. If anything, it makes you panic more. So, take a step back, take a breath and relax a little. One of the big mistakes people can make (including myself!) is relying on statistics that don’t show us the full picture. The biggest culprit for me is percentages. You might learn that a competitor increased their sales on the previous week by 100%, which leads you to sink even further into panic. What you don’t know though, is last week they only had 1 sale. That means that this week, sure, they’ve increased sales by 100% but that’s only a grand total of two sales. So make sure you’re looking at the actual numbers before you start panicking. We have two stores: Store A gets an average of 7 sales a week and Store B gets an average of 150. This week both stores have three less sales than usual, so Store A only gets 4 customers and B only gets 147. If we look at the percentage decrease, the owner of Store A would surely be in panic mode now, with a drop of 43%! Store B’s owner on the other hand barely notices the 2% drop. When it comes down to it though, both stores lost the same amount of customers, but because one store has smaller average sales, the drop is more noticeable. These kind of fluctuations are more likely to happen if your sales match Store A’s. Losing 3 customers resulted in a drop of 43% but likewise, getting three customers the following week would be an increase on the average sales of 43%. The key here is that the lower your total sales, the more likely it is to have seemingly huge fluctuations. At this stage you should be concentrating less on those numbers, and more on how to get new visitors to convert. So let’s say we’ve ascertained that the drop in sales is pretty bad. The first thing we need to do is check that your site is working correctly. Are visitors still able to make purchases via my site? The aim of this step is to check that all the technical parts of your store are functioning correctly. This will require that you make a test purchase, so you can see first hand that everything is working tickety-boo. While you’re doing that check, check that all of your tracking codes are also firing correctly. We once had a client whose traffic, revenue and sales dropped to 0 overnight. The client was in pieces. But when we looked into it, the site was working fine. It turned out that when a developer had been working on the site, they’d accidentally removed the analytics tracking code which meant that sales were still being made but not tracked. Thinking back to that last point, consider if you’ve made any changes to your site recently. If you just installed a new plugin and suddenly your sales drop, it might be the case that the plugin has caused a bug that prevents visitors from purchasing. This was the case for another client of ours, who noticed one day that her traffic was the same, but again her revenue had dropped right down. Some visitors had also emailed to say that they were unsure if their purchase had gone through. Turns out that a plugin that had recently been installed on the site was interfering with the checkout page, preventing the Order Confirmation page from loading, and along with it all of the tracking codes. Orders had been made, it’s just the confirmation page was blocked by the plugin. For most retailers, sales tend to drop in the summer. School holidays, and nice weather (unless you live in the UK!) mean that consumer spending habits will change (although this will be dependant on industry). Because of this, many retailers tend to expect lower sales in the summer and already have strategies in place that they use to ease the decrease. At different times of the year, various verticals can expect to see better sales than at other times. While sales for most industries drop in the summer, you can (for obvious reasons) expect sales of swimwear to increase. One key thing to remember is that with Black Friday becoming ever more mainstream and global, a lot of customers might decide to buy less in the run up, preferring instead to save their pennies for the expected ‘deals’. Use a tool like Google Trends to see if there are any patterns in the search volume for your product, and then also cross reference this month’s analytics data with that from last year. Sometimes I like to compare the year-to-date with the equivalent months from the previous year so that I can really spot patterns. Whether you use Google Analytics or another platform, once you’ve ascertained that your site is functioning correctly, the next step is to dig deep into your data. Has your bounce rate increased? It could mean two things; an increase in spam traffic, or visitors to the site aren’t finding it useful. An increase in spam traffic can decrease your conversion rate, so by cleaning your data and removing bots, you could see that conversion resumes its normal rate. You can also check the location report for this; if you’ve got one city with a super high bounce rate – you can likely guess what the traffic is. Looking at the landing and exit pages of your traffic can tell you a lot about why they may not be converting. When looking at these pages, again, bear in mind any recent changes that you made to the site. If you’re testing a new landing page for your paid campaigns, it may be that you need to switch back to the old format. If you recently added a promo code field to your shopping cart, and your biggest exit page is the shopping cart; there’s a chance visitors are leaving the site to find a coupon code and not coming back. Looking at your traffic and the acquisition of that traffic can give you further information about why sales have dropped. Start by looking at the Channels report, and identify which channel has the biggest drop in revenue/conversion rate/sales. Organic: Check Webmaster Tools for any penalties, and cross reference with any Algorithm updates. Paid: Make sure your campaigns are still running if you previously saw good conversion rates from it. If PPC is new for you, be wary that sometimes you can get an increase in traffic but few conversions before you’ve optimized the campaign well enough. Referral: Check which sites previously sent you converting traffic and identify where the drop is, perhaps a site has removed a link to your site? Once you’ve identified the reason behind why your sales dropped, it’s time to start planning how you’re going to counteract this. How you do this largely depends on the reason you’ve uncovered. If it’s a case of a bug or glitch, then obviously your next step is to fix the issue. If it’s more strategy related this might require a little more planning and research. Let’s say your sales have dropped from your email channel, and you’ve identified that it could be due to your Open Rate dropping too. You’ll need to come up with an email campaign that has an increased Open Rate and great incentive to convert for its readers. We’ll cover some of these strategies in future posts, so why not let us know which one you’d like to hear more about in the comments below? Using these steps should enable to you to start identifying just what’s gone wrong and begin planning strategies you need to put in place to counteract the drop. Panicking in any situation is one of the worst things you can do and doesn’t end well. Instead, stay calm and carefully evaluate the data you have in front of you so that you can come up with logical reasons for why your sales have dropped. This ensures that you’re making rational decisions for your business, giving you the stats and figures to back up these decisions. Like this guy, just take it all in your stride!